So I was going to tell you about how we went to the movies the other day, but I don’t have very much time so you’re going to have to bear with me through a run on sentence kinda post in which punctuation is merely an afterthought. Ready? Here we go .. I wanted you to know because it was so out of the blue and Brooke, who has had some pretty rocky experiences with movies in the past and has shown ZERO interest EVER in trying again suddenly ASKED to go to the movies and Oh My God that’s sort of enough in and of itself, you know? But she really did. On Saturday night when Luau and I were going out, she asked where we were going (yeah, I know, that’s huge too) and we said the movies and she said … “can I come too?” And Oh My God I thought about telling the babysitter to go home and scouring the Interwebz for something animated and G rated and then I realized that we’d already bought our tickets (to Ted, which may be sort of animated but is not remotely G rated) and besides, Saturday night is the worst possible time to try to bring a kid who can’t handle movies to a movie. So I promised her that we’d go during the week one day after camp and well, that’s exactly what we did. I managed to arrange with my colleagues leaving a few minutes early so that we could make it to that show that’s sort of afternoon but not really and kind of evening but not really because we figured that not really times are probably not really full and that would be our best hope of survival. Are you following this? Cause it sounds OK in my head, but it’s barely English. Anyway, clock’s tickin .. So we did all kinds of recon and came up with the perfect theater at the perfect time, which it totally turned out to be except for the one Oh My God are you effing kidding me how on earth did I miss this detail – it was a 3D movie. And I called my friend, Alysia from the car after Luau had texted me from the theater to tell me it was 3D and I think I may have said something like, “Oh dear God, A, talk me off the ledge, what the hell have I done?” and she totally did – talk me off the ledge that is and maybe even make me laugh and I was once again grateful for my village. So after hitting every red light and stopping for every little old lady with a shopping cart and every kid who was going to make me wait just ya know, cause .. to cross the street, I arrived at the theater three minutes into the previews. And there they were. Brooke and Luau, ready to go. And I thought it was funny cause they sort of looked like hipsters waiting to watch Fellini in some old art house theater and then sit around in a smoky room over espresso and unfiltered camels later discussing his use of light and shadow throughout the film. ‘Cept not. And for thirty minutes – THIRTY MINUTES – Brooke watched the movie. Like sat and watched the movie. Well, maybe ‘sat’ is a bit grandiose. There was a lot of squirming and lying down and curling up and standing up and cuddling and rocking and scrunching, but I’m taking poetic license and saying that it fell under the umbrella of mostly sitting, so she sat. And then she didn’t sit anymore. She did a show. Of her own. She ran down to the aisle and performed some kind of gymnastics show there. She bowed at the end and Luau and I clapped. And then she tried a seat at the far end of the aisle for a while. Then another. Then one in the next row back. And while normally this wouldn’t have worked out so well, the cinema gods had smiled on us because WE WERE THE ONLY ONES IN THE THEATER. Yes, seriously. It was like winning the movie lottery. There was NO ONE else there. No kids talking, no toddlers crying out, no ambient din of voices and crinkling packages and buzzing phones. Nothing but us and the screen. See? So we let her switch seats. And we let her run the aisle. And we let her dance to the music. And we clapped when she was finished. Because we could. And we were hopeful that she just might make it through this one. She’d done it before after all – twice in fact – both with classmates at birthday parties. It wasn’t that far-fetched. Except that she’d taken the glasses off and refused to put them back on, so what she was ‘watching’ (more accurately ‘what happened to be playing in the background as she did her own thing in the now theater as play space’ was a blurry, fuzzy, kinda disconcerting version of the movie and no, the metaphor wasn’t lost on me, but yeah, she was done. So we left the theater and the movie played to no one and Luau said, “I wonder if the animals will get home” and I asked Brooke if she thought they would and she didn’t seem to have the foggiest idea that the animals had been trying to get home in the first place and she asked if we could go buy a Dora DVD that she’s been wanting because Dora shows make sense. They follow a pattern and she can follow them and there’s not this confusing plot line thing that takes an hour to lay out and Jesus, Mama, can we just get something I can watch? And we called the movie store and found out they had it and we drove straight there to get it (and may or may not have also given it to a request for a used Elmo’s World DVD too because it was only $5) and then agreed to have dinner at home over a movie that made sense to our girl. And Alysia asked me how it went and I said, “It was a solid Not Failure.” And I decided that was enough. More than enough really. There were no tears and no melt downs and no fear. That’s what it was – there was no fear. And the absence of fear may not be success in and of itself, but it sure as hell constitutes Not Failure. And she reminded me of THIS and I had to smile when she said, “What would Al say? My girl asked to go to the movies. We lasted nearly an hour all told. When we left, she said she would try it again sometime. We went home and had dinner with Dora and Elmo. Yes, it was a solid Not Failure. And sometimes, that’s more than enough. This is spectacular. A “Not Failure” will become part of our family vocabulary too, it’s the best description of this kind of thing that I’ve ever read. 🙂 Bravo to you all – it was certainly more than enough in my books. That was an awesome TRY. And you can only try when you feel brave enough to handle whichever way it goes–which is how any of us accomplishes anything. Brooke did great! I would definitely call it SUCCESS! Awesome! Congrats on your Not Failure! I think you should each receive an Olympic Medal! There was a lot of progress in this post. Congrats on the solid NOT failure! Those are the ones that give us hope for “next time”. Fabulous. Now find sensory friendly movies in your town and she can dance to her hearts content. That is so awesome! It warms the heart when things go well enough…and in my book if you have fun, no melt downs and “conversation” its a total success : ) no matter what it was suppose to be! wow! that was huge! progress is progress even if it’s baby steps! we did the sensory friendly movies a few times and then the boy wanted to see Star Wars Episode I in 3D. yep, he started counting down to the release in January (it hit the theaters in Feb) i was so worried about this. he’d never seen any of the Star Wars movies, let alone a 3D movie. i didn’t think it would work out but he did it. he did it with Daddy and his uncle (who also loves Star Wars) and he loved it. i think he bounced the whole way home. You do such a great job of reminding me that things dont have to be perfect. Things can be a solid NOT failure and that is OK. My Maddie is the same way with progress. It comes in increments often unseen by the human eye. That is so great. We have gone from failure to not failure and on to success over the last 3 years. 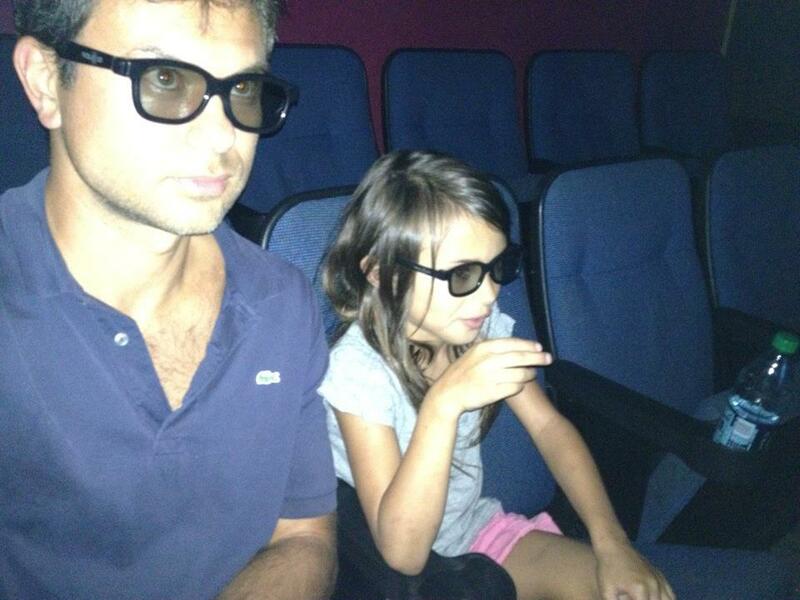 We have to plan with military precision and during the previews I take my daughter on a tour of the cinema bathrooms. This summer was the first that she sat through a whole film – I think the same one you saw. Spoiler alert – They do get home but it’s not what they remembered or what they want anymore. Love your attitude! We don’t have issues with movies (as long as there is lots of popcorn available for consumption), but I am going to take this approach with kid parties. Sort of…okay, my kid is there, he’s not melting down for the most part, and while he may not be quite interacting or wanting to do what everyone else is doing most of the time, that is SO a solid not failure. Thanks for the reminder! I get it that “Not Failure” seems like the best way to express it, but darling I completely call this a SUCCESS! A big fat Brooke-completely-rocks-it-success! We have followed this pattern almost exactly with our son, including the dance routines, mock soliloquys and bows at the front of the theater. (On this point, I think our kids are geniuses–why else do they turn the volume up so high if they don’t want you to dance? It’s barely softer than the volume at a dance club.) And after years of practice…at the dollar theater where parents tend to bring a motley crew of loud typical children, sensory friendly screenings where dancing in front of the screen is embraced, and periodic regular screenings while sitting in the back row so that his impulse to plant his tush in every seat in the row didn’t disturb other viewers…after all of that, he recently sat through an entire movie, including previews, of Brave! Which is not exactly an easy plot line to follow. I don’t think he really understood that the princess was being married off by her parents. 🙂 He wore his ear muffs (his choice and it was loud), but aside from a few loud comments to me at key moments during the movie (bless him, he likes to make sure his mommy is noticing the same things he is and I’m so grateful for that “typical” social impulse! 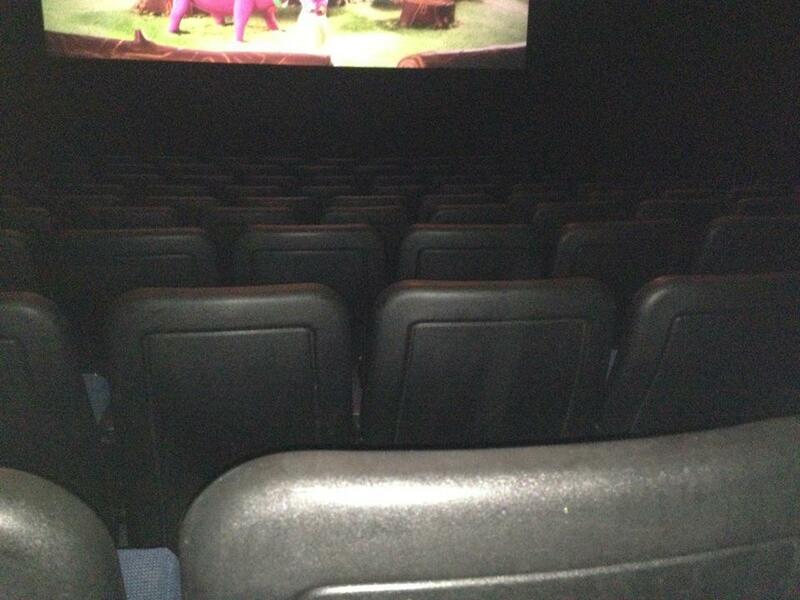 ), he enjoyed the entire screening in a full theater. It can be done by Brooke. It will be done by Brooke. In her way and in her time. So that’s why my son LOVES Dora. The predictability of it. I sort of feel like we live in Dora’s world because all of our “conversations” seem to involve Dora and Boots and especially that crazy fox Swiper. Oy. Good job, Brooke and Jess and Luau! I am soooo not ready to bring our son to the theatre. It sounds like a definite solid not failure. Baby steps, but HUGE progress for Brooke! Beautifully broken down into positive facts! Please let us know when you go again. I didn’t know how else to reach you however I just recently came out with a list in my opinion of 100 People ‘Making a Difference’ for Autism today and you were included in the list! Your dedication towards the autism community is not going unnoticed and you are a true inspiration to me (an autistic adult) and countless others! Keep doing what you’re doing cause it truly is ‘making a difference’! YES. i love everything about this. A solid “not failure” is a WIN!